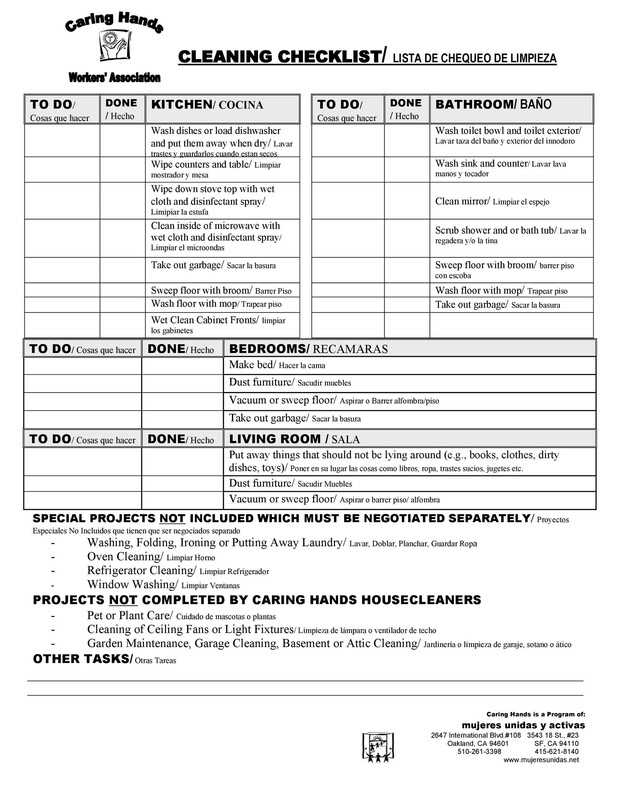 Before you conduct a general house cleaning, you will need a checklist of what chores to do. Don’t get overwhelmed by the work you’ll be facing. 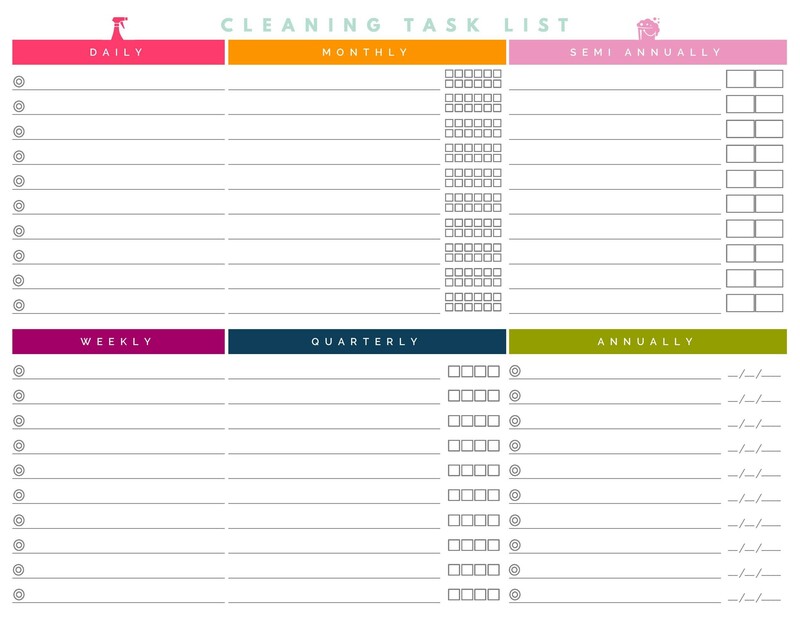 Because of your eagerness to do the job fast, you might want to do chores all at once. Only to find out later in the day that you really haven’t accomplished much. 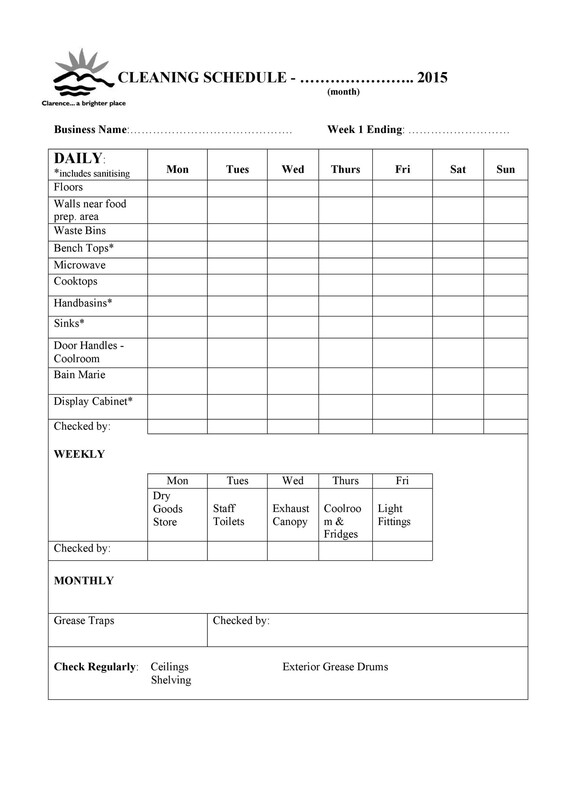 Your cleaning checklist template should include scheduling of chores. 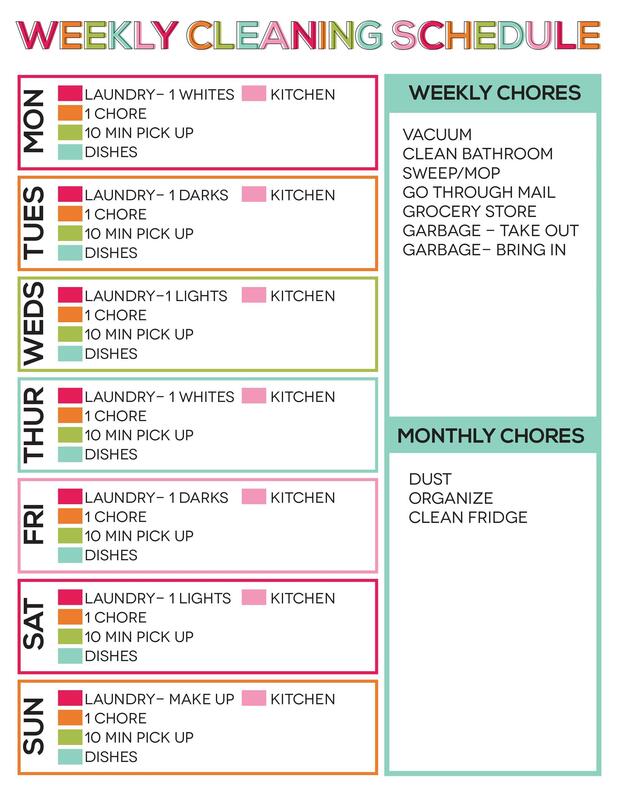 Finish the chores according to schedule before moving on to the next is the best way. Cleaning is like having a meal. You don’t gobble everything on your plate all at once. This would just lead to indigestion and might even get you sick. Break down your meal by eating small, manageable chunks. This analogy also works when planning your house cleaning. 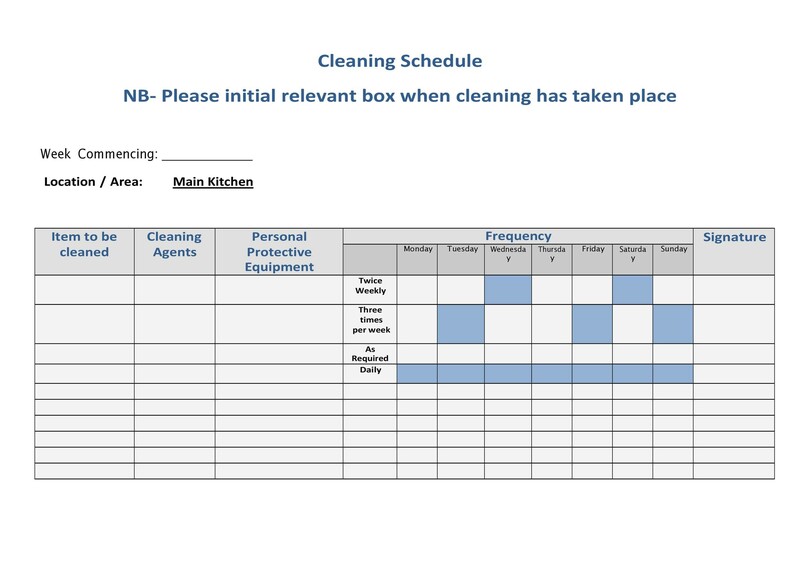 Remember, using a cleaning schedule template will make things easier for you. 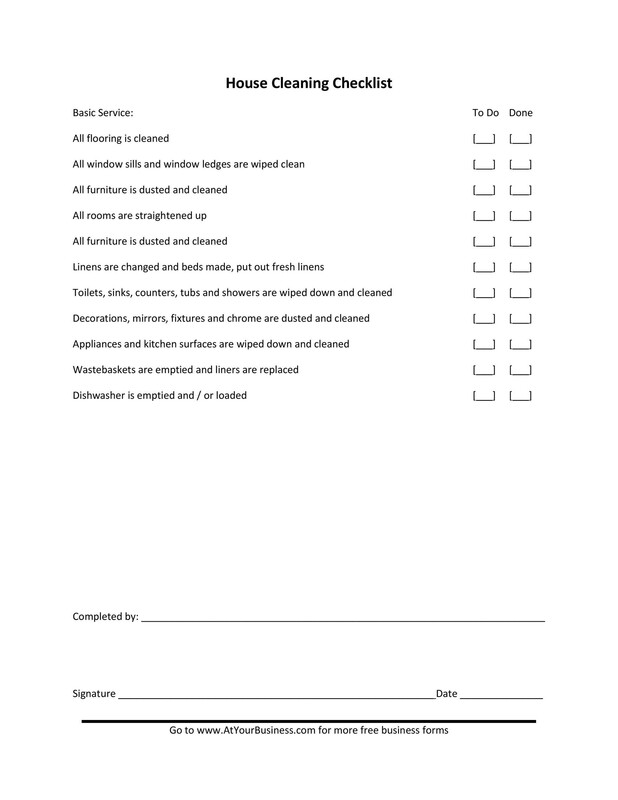 Maybe you’re cleaning in preparation for guests or you’re doing annual spring cleaning. 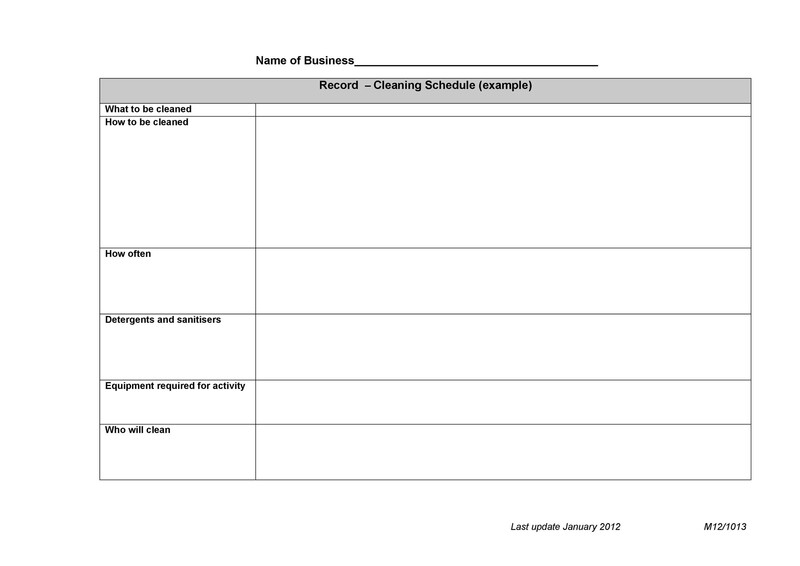 You may even use such a template if you’re in the business of housekeeping. Then you’re subjected to rules that you need to follow. That is if you want to establish an excellent reputation for your business. Such rules remain the same for all similar businesses. The difference will depend upon the client’s individual needs. For instance, you may have hotel, hospital or office clients. The objective for all is cleaning. 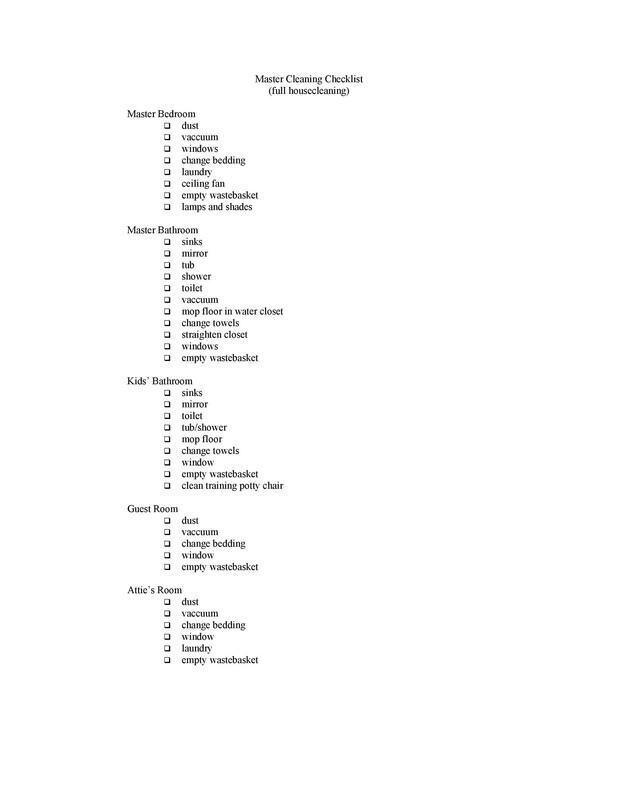 But each client will require different types of services. You will then have to cater to their individual specifications. 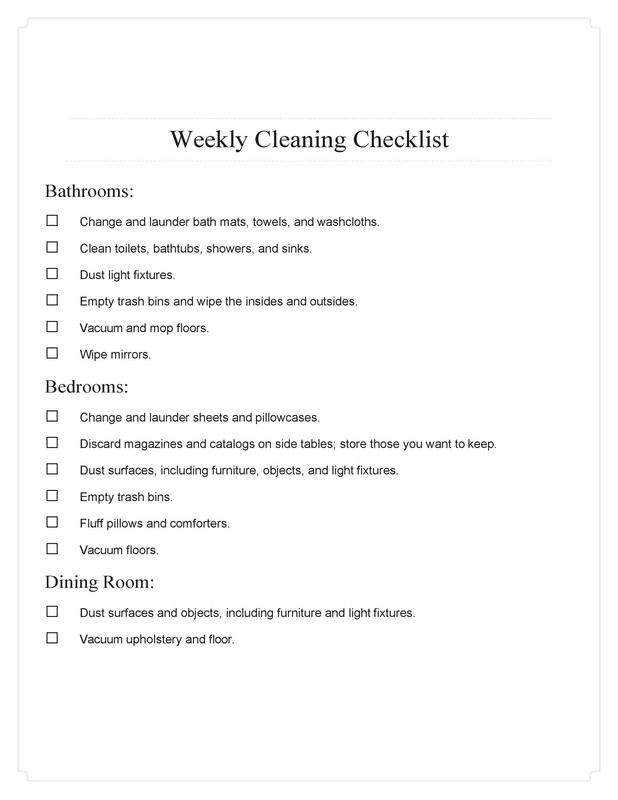 For all these instances, you will need a house cleaning schedule or checklist. 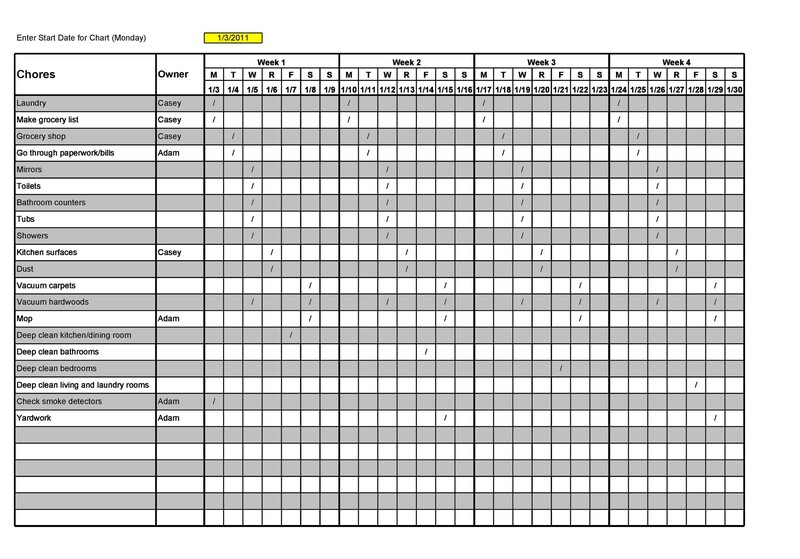 Use this to ensure that your professionalism will reflect in the work. 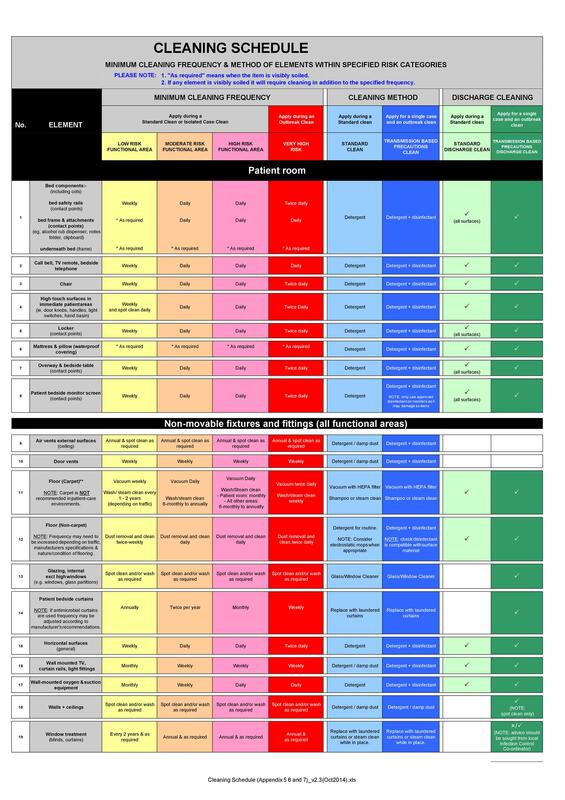 Such a checklist isn’t only a schedule but also a tool you can always refer to in case you miss something. 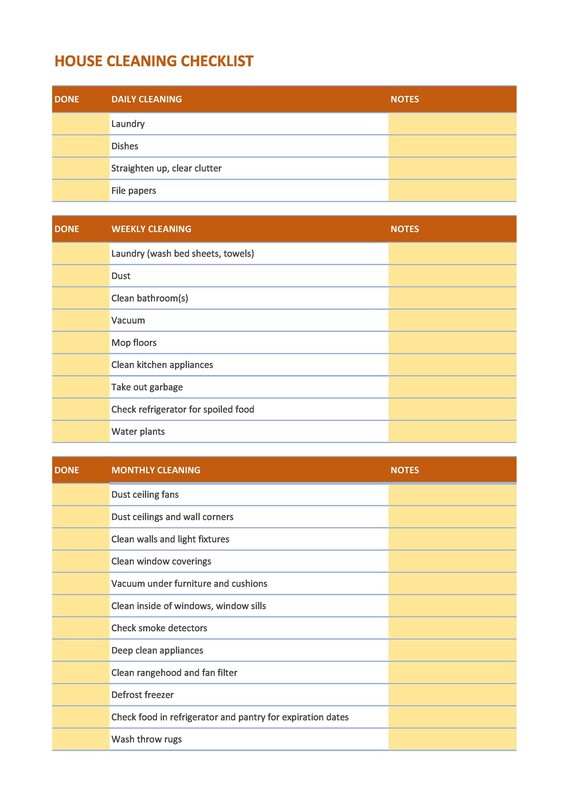 Be sure to check the list every now and then when doing your chores. This is the surest way to know that you are covering everything. 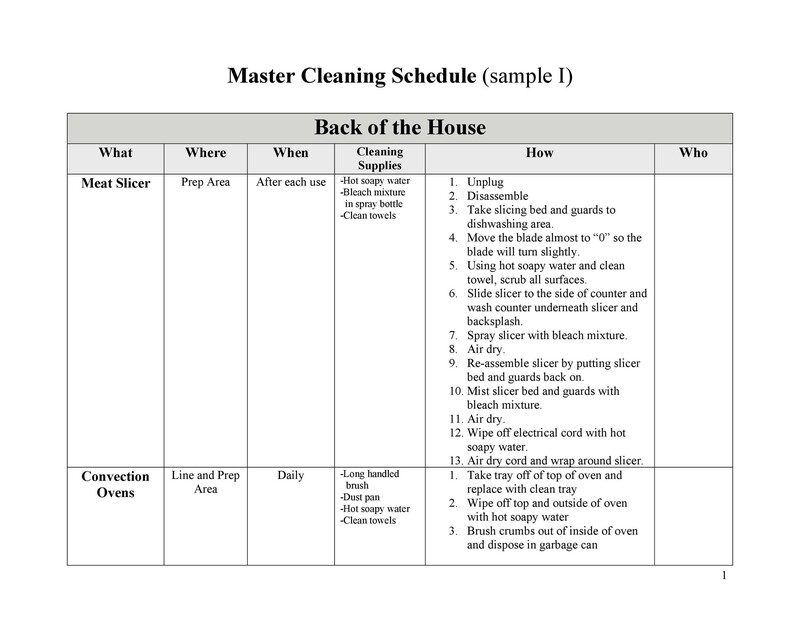 Let’s start with a basic job of house cleaning for a client. 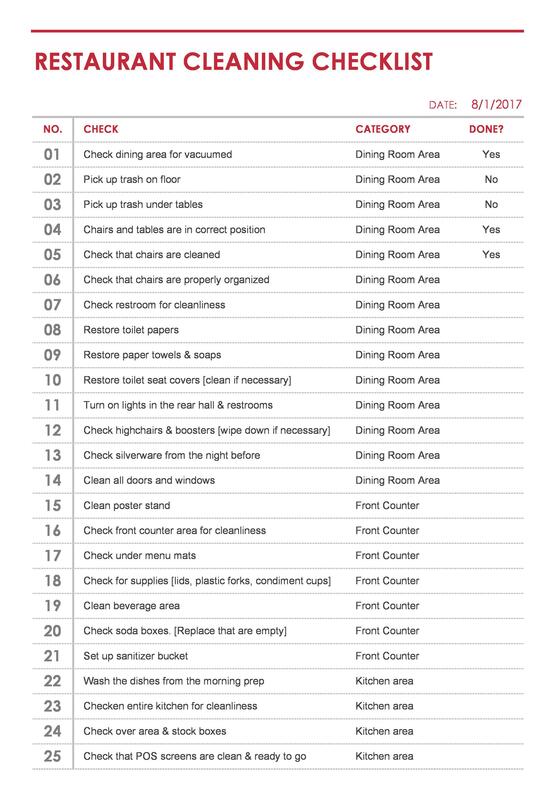 Make a simple checklist of what you need to clean. 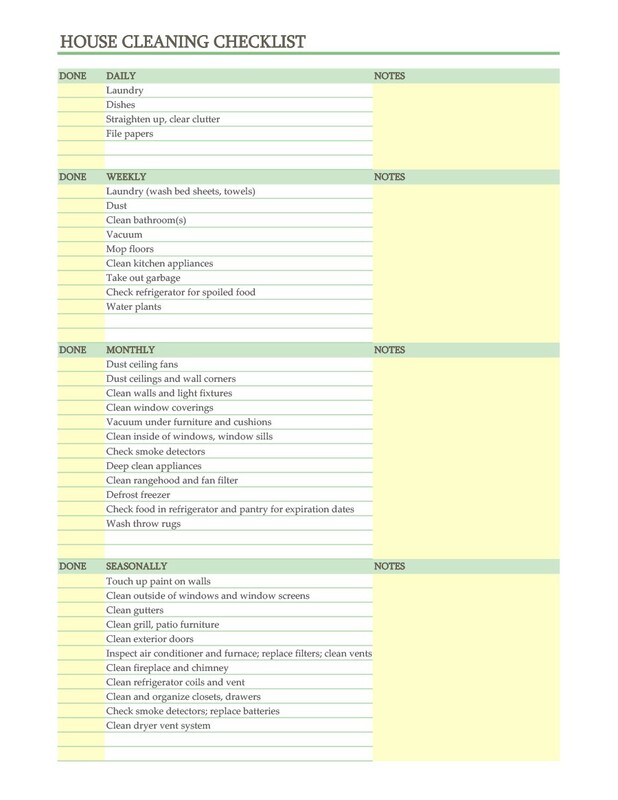 Prioritize your cleaning jobs by starting with the most important items. Later, you can move on to smaller items and so on. 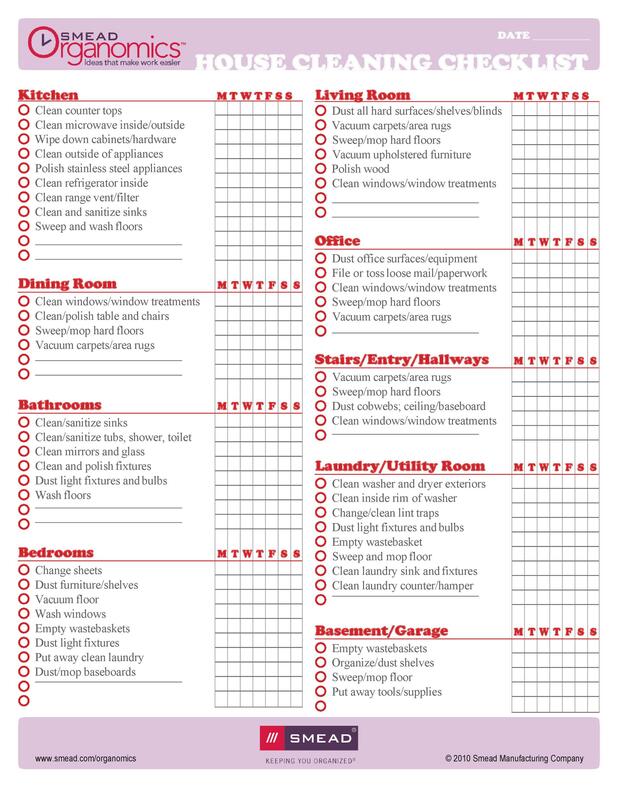 When facing the daunting task of house cleaning, the first thing that comes to mind is where to start. As mentioned earlier, house cleaning can often be overwhelming. But don’t get threatened. 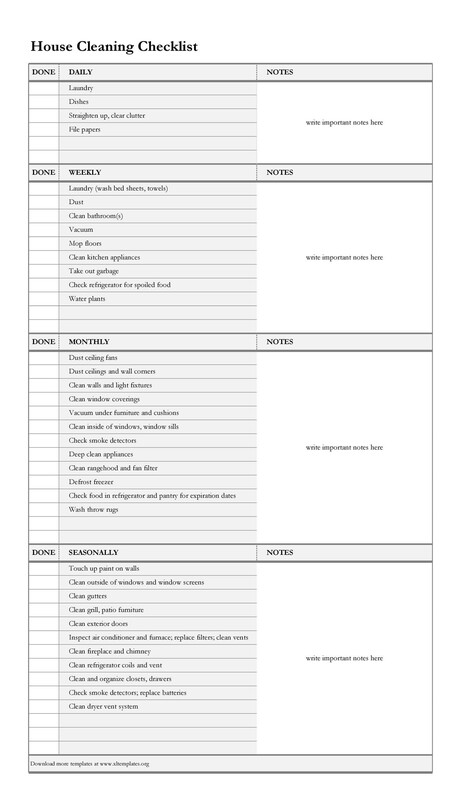 The simplest way to overcome your fears, if we may call it that, is to make a cleaning checklist template. 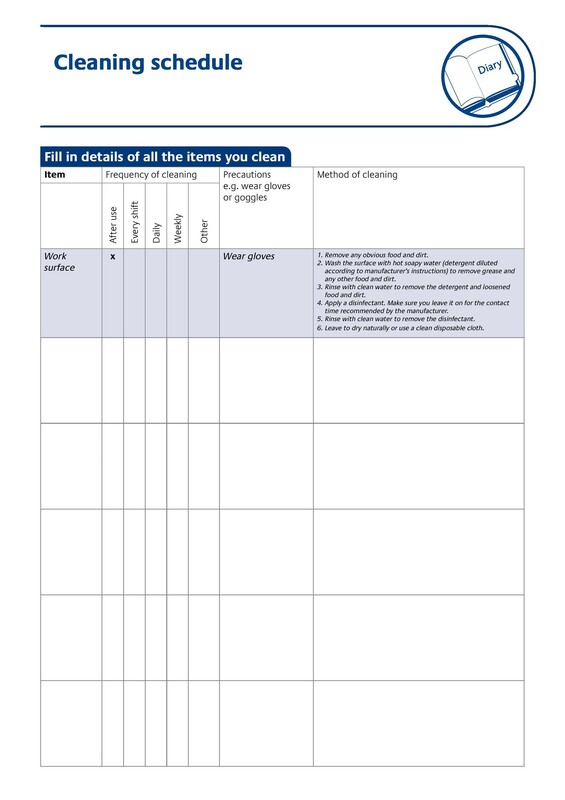 You can download one here and it could help you declutter and deep-clean an entire house. 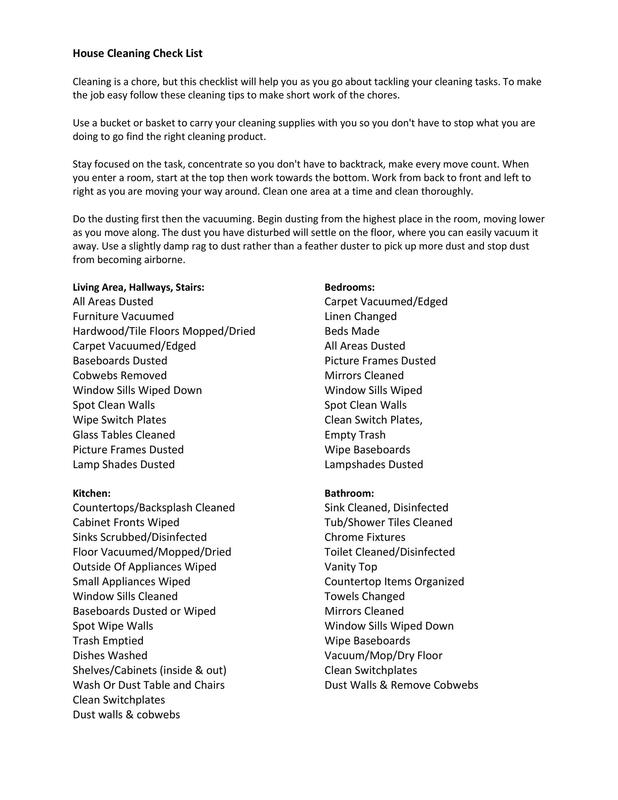 Where to start your cleaning is your first obstacle. This becomes worse if you’re under time constraints. 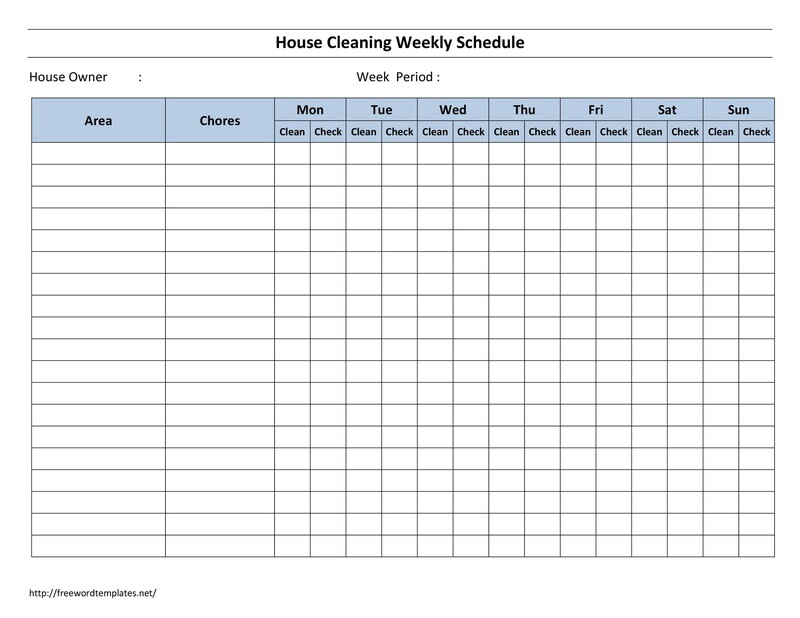 A house cleaning schedule will help break down the chores. 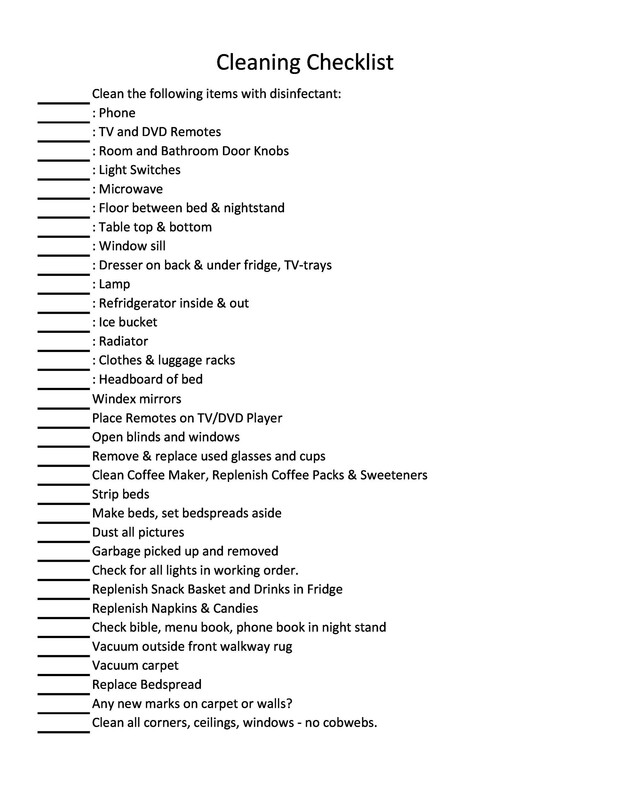 Following the list might make you feel more relaxed as you finish one job after another. There will also be fewer chances that you overlook important tasks. When possible, make the living room the first on your agenda. After all, it usually is the first place your client will inspect after you’re done. Remember, first impressions are lasting. A clean living room at first glance will be much appreciated by your client. The usual problem in kitchens is the accumulation of grime and oily substances. These settle almost everywhere after oily cooking. Your walls will look soiled and there’s that persistent stale smell that proliferates. Sometimes, this can even spread to adjacent rooms. There should be more effort on the kitchen cleaning. This is because of the hygiene factor. Germs and bacteria can thrive due to unsanitary conditions. Just think, we spend about one-third of our lives in the bedroom. That doesn’t even include when you’re lying around lazily in the morning. It’s therefore paramount to maintain a clean and comfortable bedroom. There is no greater place in the house than this room where you can dispose of your problems in comfort, so to speak. It’s also the room where we can make ourselves clean, all the more reason that we should keep it clean as well. We love our bathrooms, especially when they are properly maintained. Maybe because of their limited sizes, these parts of the house tend to get ignored. But if you think about it, these are some of the most used areas as people unknowingly walk on them every day. Many do pay attention to them because corridors and lobbies always lead to the rooms they intend to go. Lobbies and corridors can make impressions as much as any other room in the house. Everybody wants to live in a clean, well-organized home. Cleaning it, of course, is a most important factor to consider. Again, the task of cleaning up an entire household could be overwhelming. 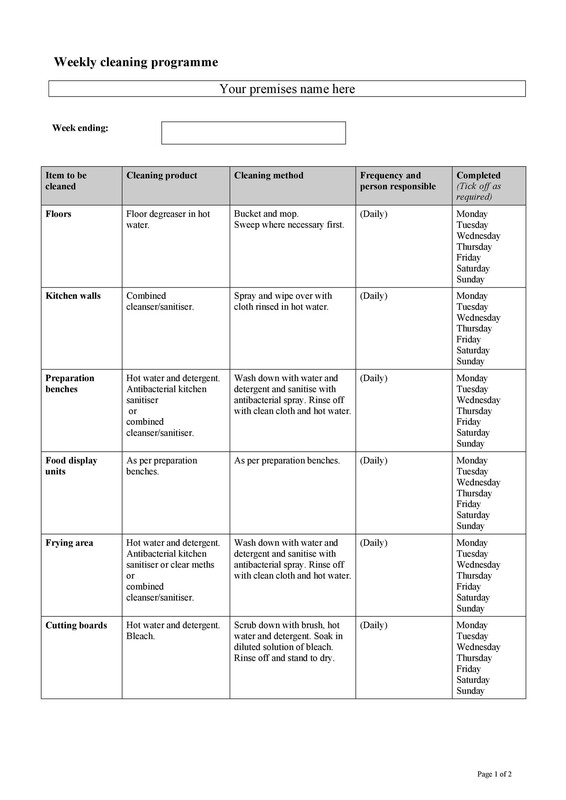 But if you make a cleaning schedule template on how to get things done, the task isn’t really that difficult. The first time, things may be a little challenging. But once you get the knack of it, household cleaning could be easy as pie. You may also want to schedule cleaning on a regular basis. 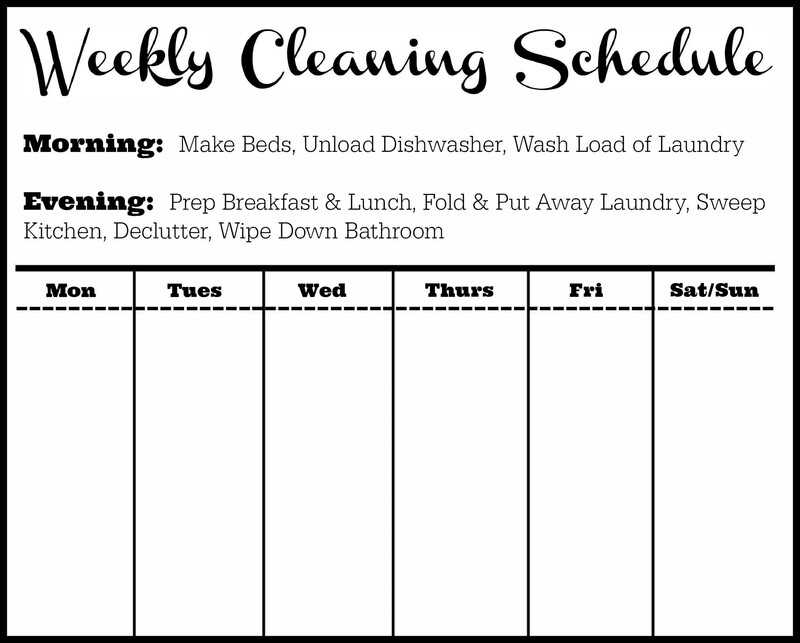 Do this so that the chores won’t accumulate and become too much and too frustrating. Imagine yourself facing a mountain of dirty laundry or a pile of unwashed dishes on the kitchen sink. Talk about being totally overwhelmed. This is precisely the reason why you also need to do regular cleaning schedules. 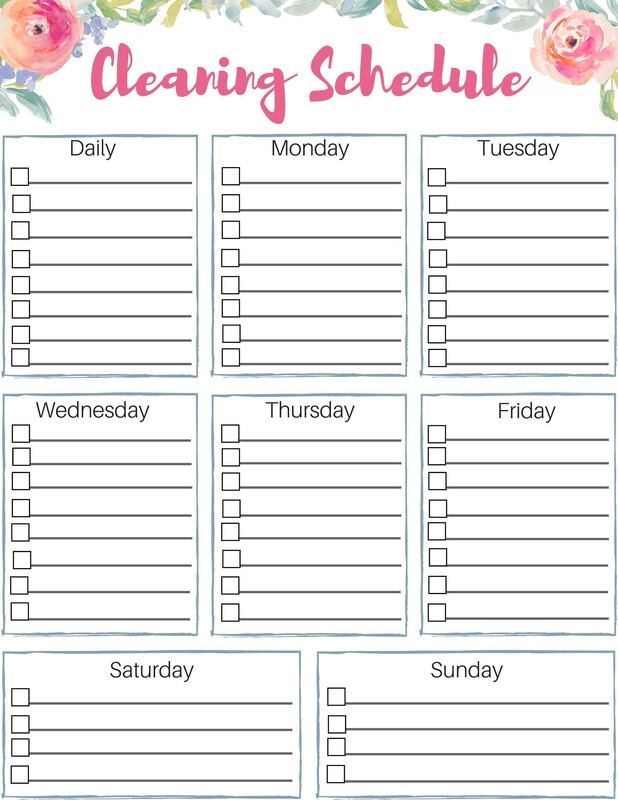 You can do these on a daily, weekly, monthly or seasonal basis. 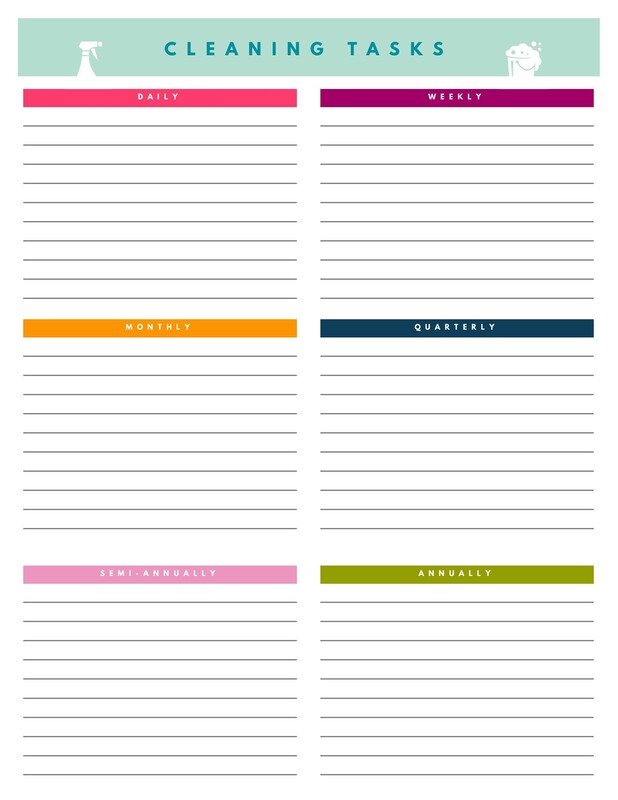 These refer to chores that you need to do, well, daily. 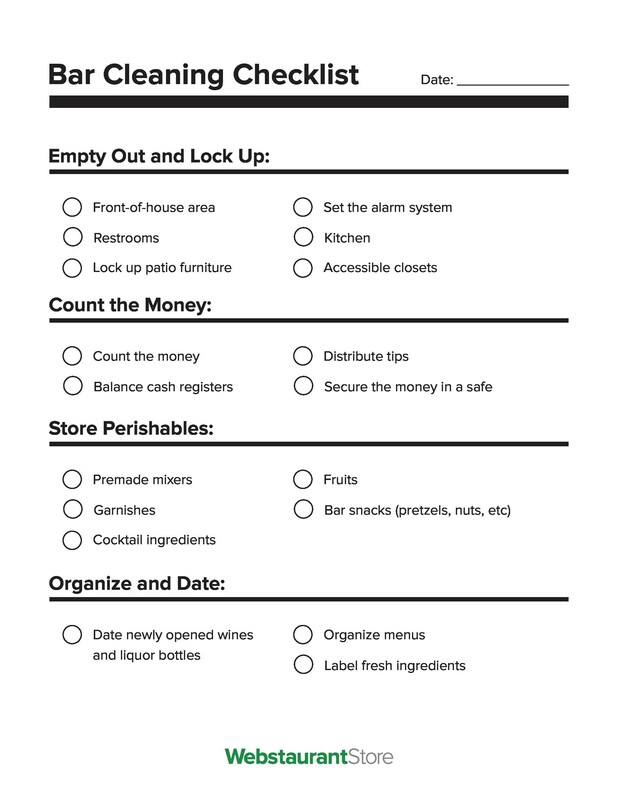 This would make your home always prepared when guests come to visit. 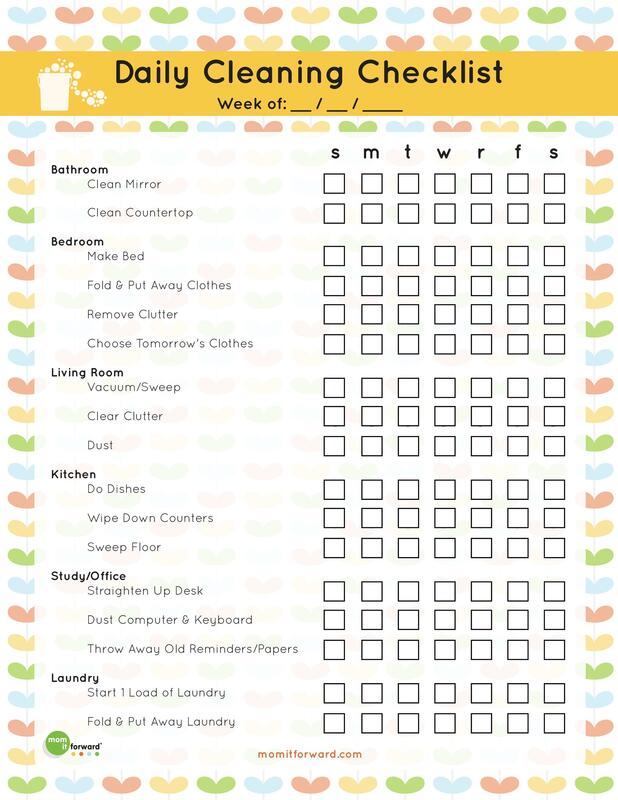 You can share these chores among members of the family so that parents are not tasked to do everything. Everyone in the house should make their own beds daily. 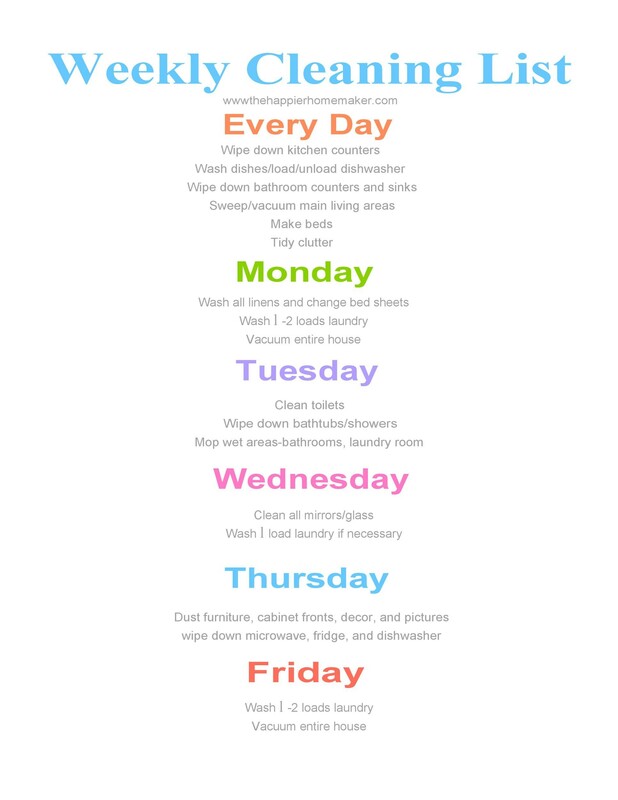 Train your children to do this chore too. After every meal, you should wash dishes either manually or by using the dishwasher. Finish the job by unloading the dishes when they are dry then putting them away. Seeing a pile of dirty dishes on the sink that have stayed there for a couple of days is certainly not a pretty sight. Always handle the mail and don’t let them pile-up. Sort out bills and relevant papers from your mail and get rid of unnecessary ones. Recycling junk mail and envelopes make you more environment-friendly. Always vacuum or clean high-traffic areas. These include the main entrance, the kitchen, and hallways. Kitchen sinks and counters and stoves are always subjected to oil marks, so clean them daily. Don’t clutter your counters with kitchen utensils. Put them away after wiping them. Clean up any dirt, spills, and other messy stuff when needed and ASAP. Put things in all their proper places at all times. Place dirty clothes into the hamper and clean dishes in the cupboard. Also, make sure children’s toys are always kept in their room. Take the trash out daily. Segregate your trash if needed. To prevent any accumulation of grime on your bathroom sink and fixtures, do a daily quick wipe on them. 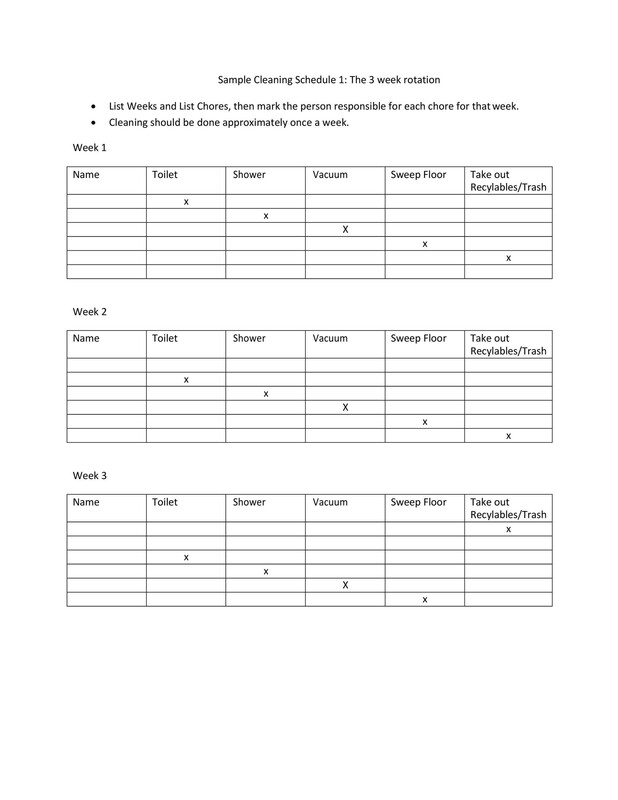 Distribute your weekly chores over the course of the week. 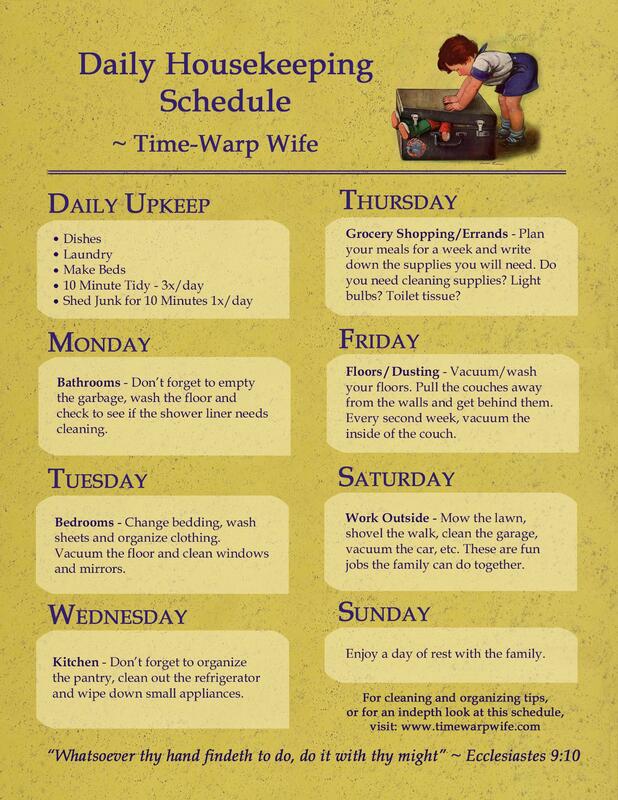 Avoid doing all weekly chores in one day. That practice may just lead to half-baked jobs that may need redoing. Doing your laundry. This will include not only clothing apparels but towels, bed sheets, and covers as well. Be sure to hang or fold them to avoid getting wrinkles. Vacuum and sweep the floors, both the carpeted and hard floors. Use a mop on hard floor surfaces. Use a dust mop for hardwood floors. Dust surfaces once a week to reduce allergens which may bring about allergies. Also dusting will protect surfaces from wearing and scratches. Clean bathrooms thoroughly including the toilet bowl, the shower area, and mirrors. Use disinfectants for hygiene reasons. 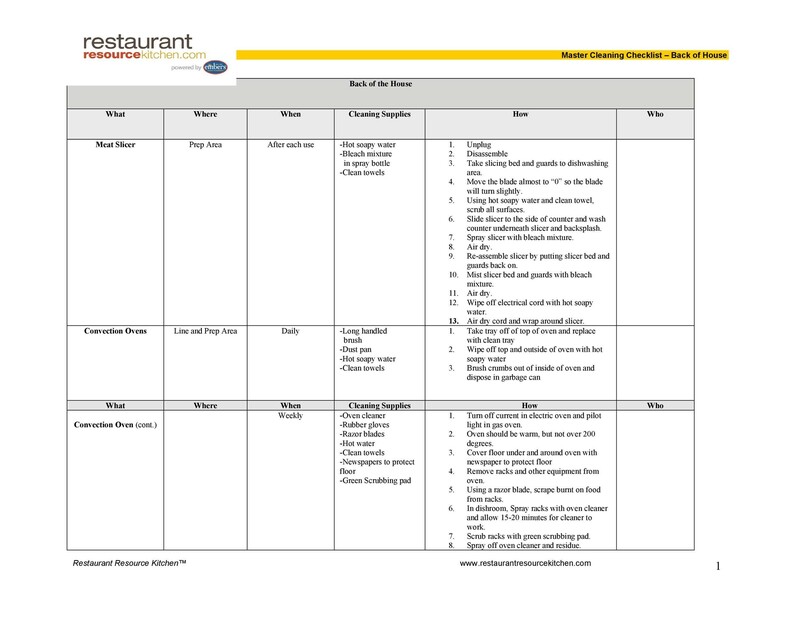 With your refrigerators and freezers, be sure to get rid of stale or unused foods. You can save space and at the same time prevent germs from thriving. Wipe the insides and outsides. Take out the detachable parts then wash, rinse, and place them back. 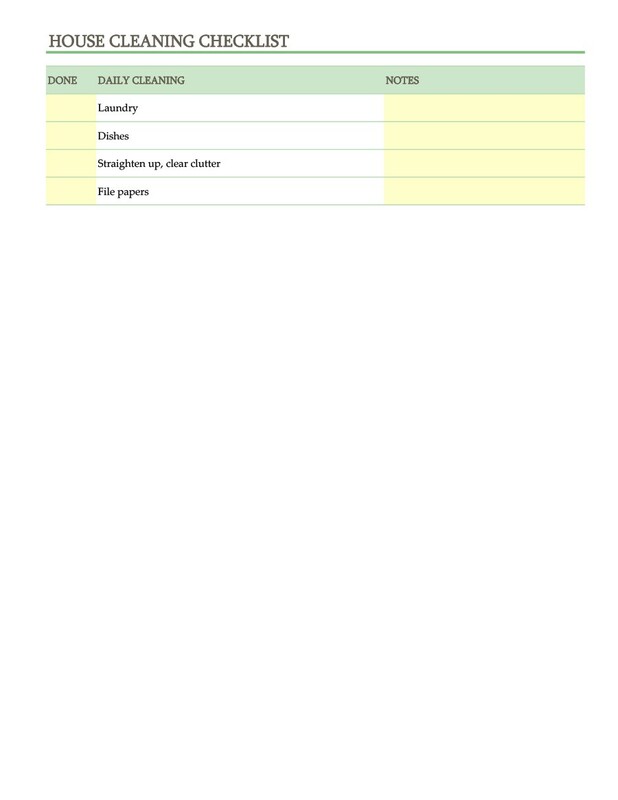 These are the chores which you don’t need to do frequently. Doing them once a month or once every season is usually enough. 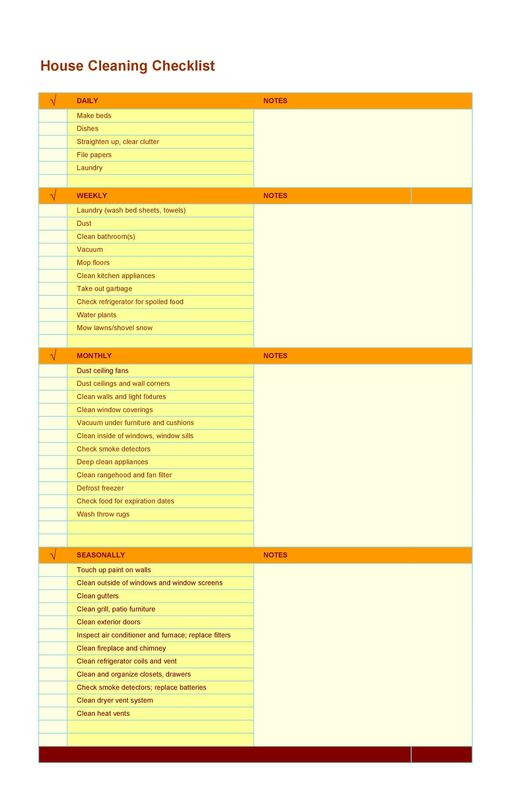 If you want to remember all these chores, write them down. 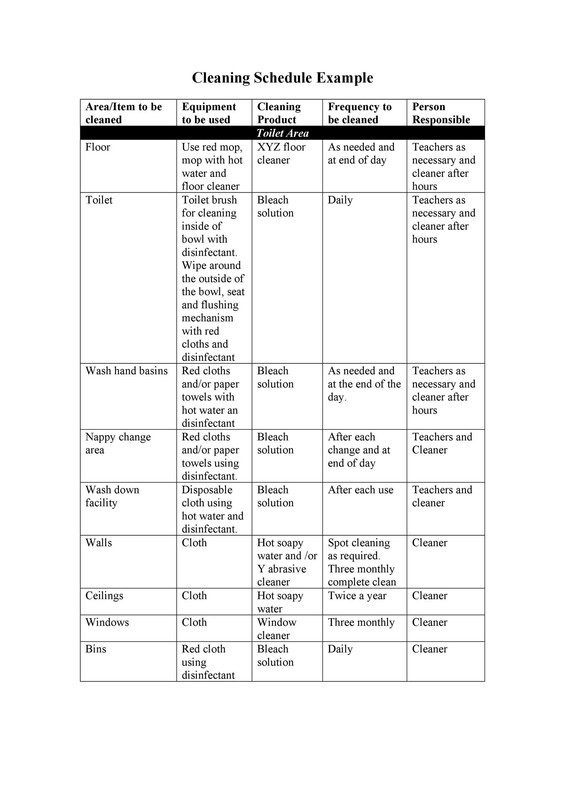 You can make a monthly/seasonal cleaning schedule template. Either that or download and use a cleaning calendar. Then place it somewhere visible so you’re reminded when the right time comes along. There are some professional cleaning services that can clean your house. They do so in an organized fashion. They clean according to their professional rules. They are also flexible enough to cater to their client’s wishes. 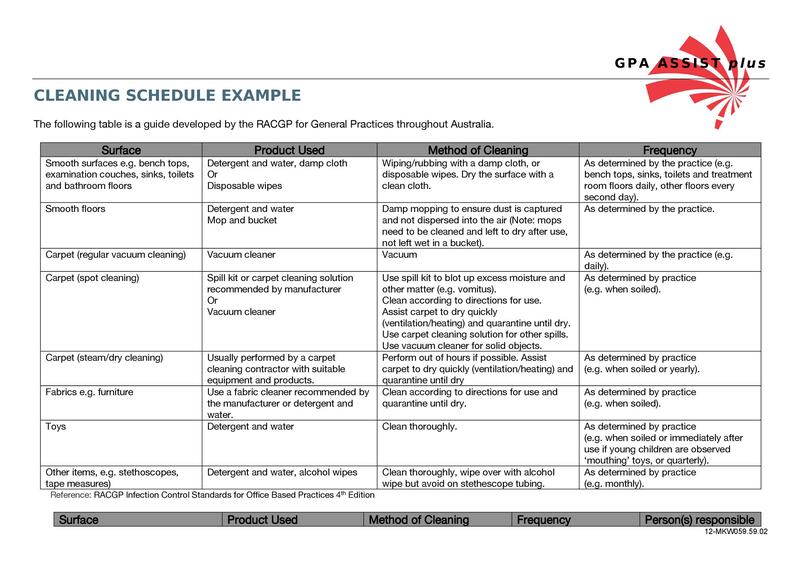 This company not just loves to clean but is also willing to train their clients on house cleaning tips. Before starting the chores in any room, play some lively tunes. Sounds like fun and pretty sure work will come on easier. With that music playing, start picking up clutter. Try to discern which items to throw away and which to keep. Remember, the fewer items you have, the less you need to put away, dust and clean. Scrutinize every item like books, newspapers, toys, and more. Dispose of the things that your kids have outgrown or those that you no longer need. 3. Hoarders usually fear to open their closets. This is because of the mess they have hoarded inside. Well, it’s time to face your fear, it’s time to organize and minimize. Unclutter your closets for more room. After you have sorted out the items, it’s time to call the Salvation Army for some donations. Materials that you can recycle should also go to the proper agencies. When doing your dusting chores, use microfiber cloths. These will reduce allergens and can improve the quality of air inside your home. For removing those pesky cobwebs, use a dampened cloth attached to the end of a mop or a broom. Don’t forget to dust the top of doors, light fixtures, fans, and picture frames. For items with glass, apply glass cleaners on some cotton cloth or microfibers. This will prevent streaking. When vacuuming, make sure that your bag isn’t already full. Choose the appropriate settings and attachment. This will depend upon the surface you will be working on. Hit all floors of the house and all upholstered furniture. When mopping, always start at the farthest corner. Then gradually move back towards the entrance. Remember to rinse your mop once in a while. This will ensure that the mop does not accumulate too much dirt. Do this in every room, except the kitchen. You need to wax wooden furniture every so often so they can retain their shine. Always prepare yourself when doing mopping or sweeping chores. 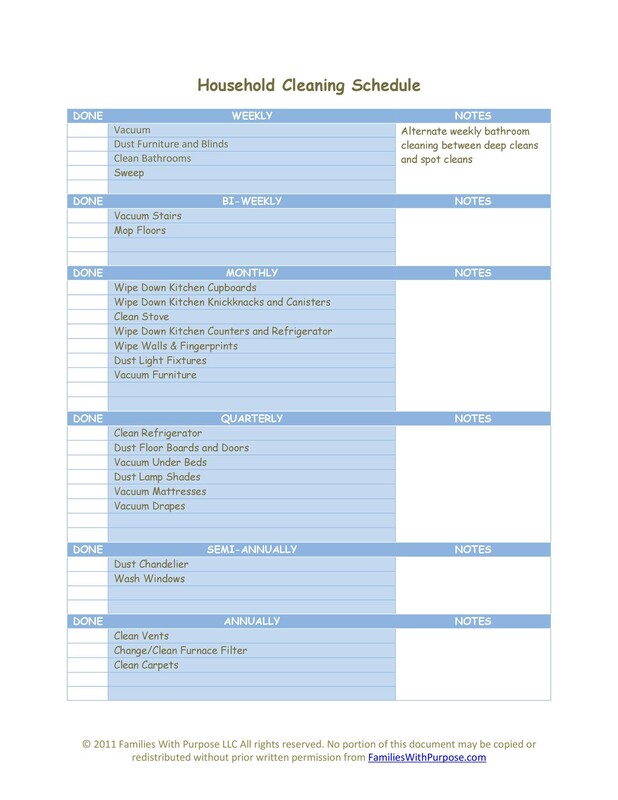 Be sure to have all your cleaning supplies ready to maintain continuity in your chores.